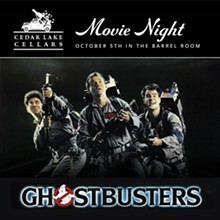 Cedar Lake Cellars, a year-round winery and event center, will host a free movie night featuring the original “Ghostbusters”. 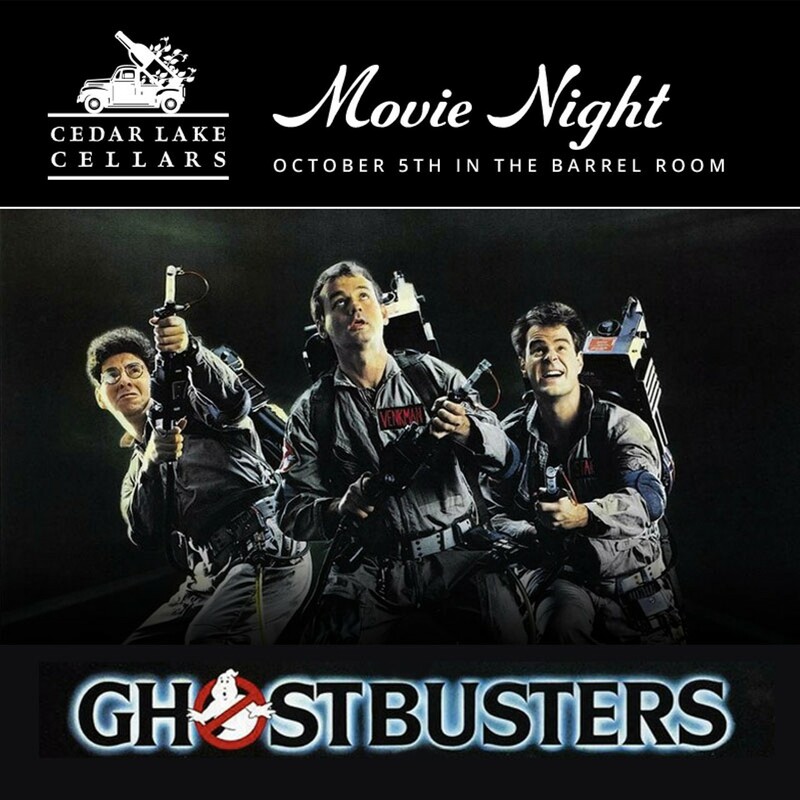 Doors open at 6 p.m., and the movie begins at 8 p.m. “Ghostbusters” is a 1984 supernatural comedy about three eccentric men – Dan Aykroyd, Bill Murray, and Harold Ramis – who start a ghost-catching business in New York City. Sigourney Weaver and Rick Moranis co-star as a client and her neighbor. The show – which will feature seating on a first-come, first-served basis – is free and open to guests 21 and older.